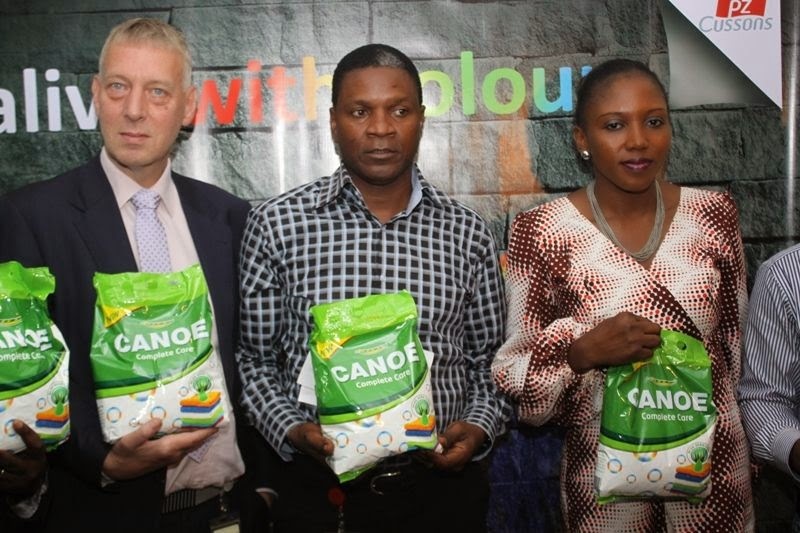 PZ Cussons Plc, one of Nigeria’s leading family care products company and manufacturer of Canoe laundry soaps has unveiled its “Alive with Colour” campaign on “Nigeria’s first colour care detergent” – Canoe detergent. The campaign aims at providing colour care laundry solutions to a growing population of consumers who desire special care for their coloured fabrics. Managing Director, PZ Cussons; Alex Goma reinstated PZC’s commitment to innovation and a delightful washing experience for the Nigerian consumers. “Our business initiative, hinged on consumer satisfaction is the driving force in our quest to meet consumer expectations“. He added that Canoe as a brand has evolved through the years with a clear commitment to deliver on maintaining the colours of your original coloured fabrics stretching its equity from laundry and now into detergents thereby helping consumers who desire to care for their coloured fabrics. Marketing Director, Family Care, Sandy Griffiths said “we are delighted to unveil our “Alive with Colour” campaign aimed at boosting lifestyle taking positive cues from confidence and pride so as to inspire millions of customers to look their best at all times. 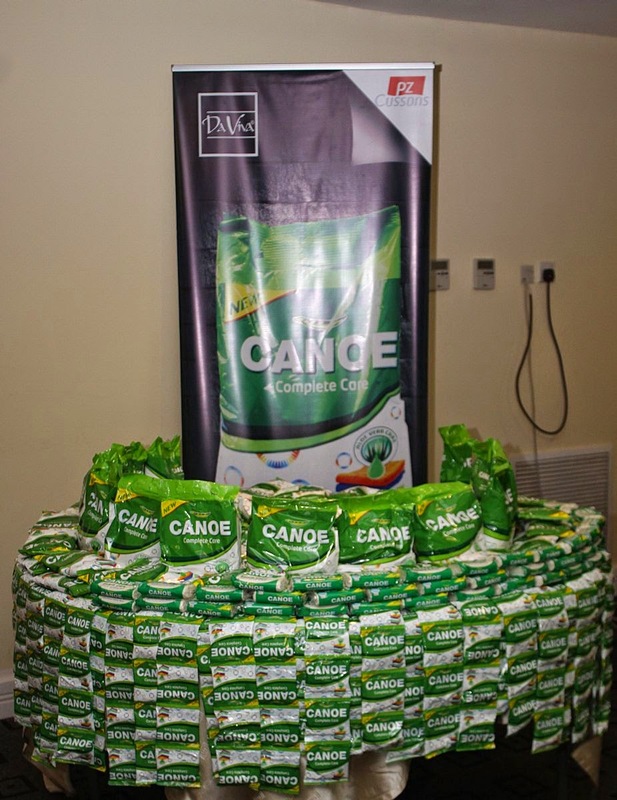 Canoe’s laundry equity started in the 1980s with the introduction of Canoe bar soaps. Today the brand enjoys stretch into detergents therefore ensuring a seamless transfer of Canoe’s colour care credentials from one format to another. Roy explained further that, “to reach our targets, who are mostly female in their prime who are very vibrant, confident, jazzy, fashionable, stylish and most importantly pride themselves in being colourful, we have conceptualized a campaign themed ‘alive with colour’ and we shall showcase colours in all of our touch points campaigns on radio, BRT, press and digital“. 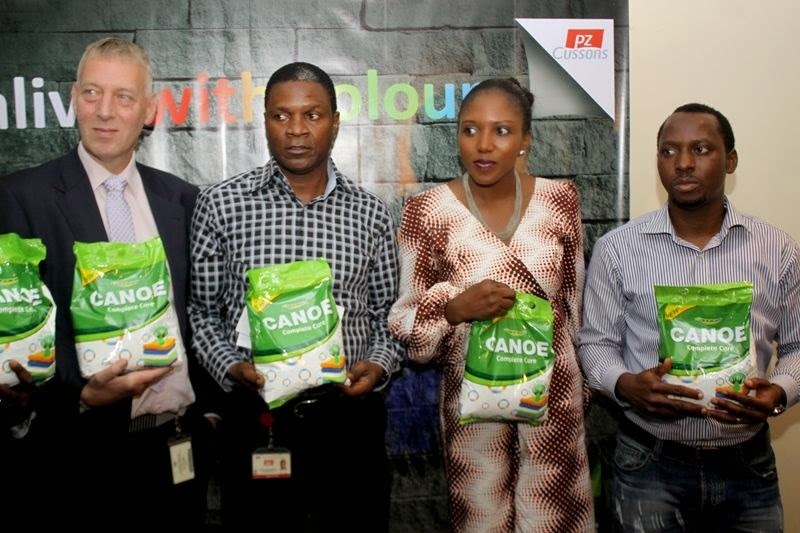 Canoe detergent is available nationwide and comes in 25g, 250g and 1kg pack sizes.